Home security is one of the most important issues you will deal with in your life. It is very important to your safety and the safety of loved ones. You should not compromise on quality when securing your home. Ensure your house is safe and well protected from burglars and thugs. These characters may be staking out your home to make a fast buck by stealing. Teach your entire family to be security conscious. You can raise security and safety conscious children. Practice home and safety tips every day and teach your children. 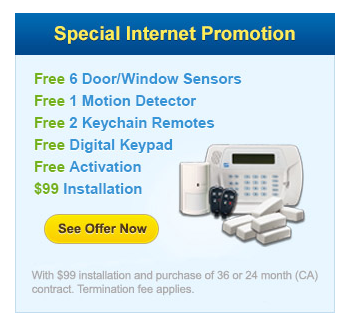 Home security is a huge concern given the ever increasingly unsafe environment we live in. One of the biggest errors you can make in terms of home security is poorly securing your home. You feel comfortable with the measures you initially take and then you may become complacent. Home security must be continually examined for weaknesses and upgraded as necessary. If you are an apartment or condominium dweller you do not want to rely totally on a centralized security system. 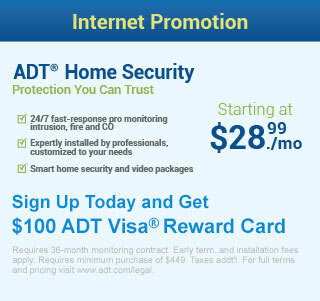 You will want a security system that fits your individual needs. One of the ultimate home security measures is knowing you can look in on your entire home, from a personal computer anywhere in the world. This technology is readily available. Poor home security is not only a chance to lose your valuables but could also endanger those you love. Home security is necessary to ensure your safety, so do not compromise. Sufficient lighting is one key measure that deters burglars. It is essential that you place light fixtures at least 8 feet high so that they cannot be easily tampered with. Remember, home security is complimented by excellent security lighting. If you are away, get timers to light up the exterior as well as an interior of your house. Burglars are not comfortable working in well-lit areas; thus well lit and clearly visible houses have a lesser chance of burglary over others. Burglars will think twice about invading a neighborhood watch neighborhood. Neighbors who are willing to keep an eye out are one of your best forms of home security. Keeping doors locked, lights on, and hiding your valuables in clever places are some ways to make your home safe. Burglars are clever. They try to devise ways to break into the safest of homes. It is important to be careful not to allow entry inside the home to someone that you have not requested in advance. It is not far fetched to ask for proper identification when you request individuals to your home. In general, burglars will avoid occupied houses. The more individuals at the home the more likely a burglar will be deterred. In addition, an alarm system provides the homeowner with warning that there is an intruder in the home. While many thieves prefer to only break into homes they feel are unoccupied, not all burglars will be deterred by the presence of the homeowner.